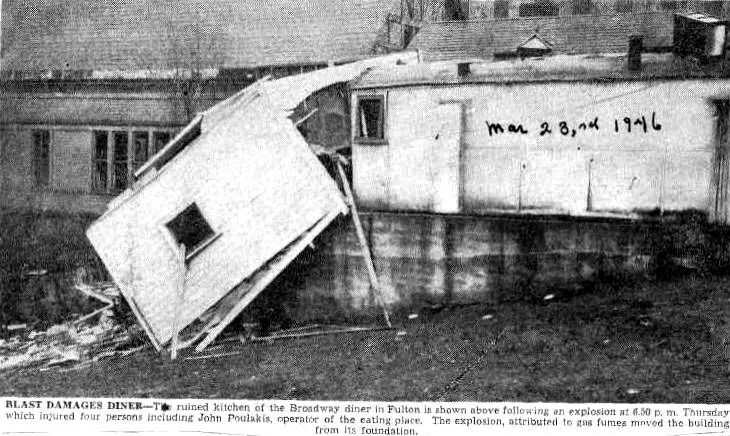 The Broadway Diner, 271 W. First Street, South, Fulton, NY, exploded in 1946 as the result of a gas leak, destroying the kitchen and knocking the diner from the foundation. The diner had a typical siting near the mills of Fulton, NY, on a steep slope leading to the river. So why did all the diners explode? The real reason for most was gas leaks in the kitchens.